As usual, the 46th edition of the Copa America will feature a total of 12 nations, vying for the glorious trophy in South America. However, there is a bit new from the last edition as this time, CONMEBOL has invited two nations outside of their region. Before, it was planned to host 16 nations tournament which will feature 3 nations invited from North America and 3 from Asia. 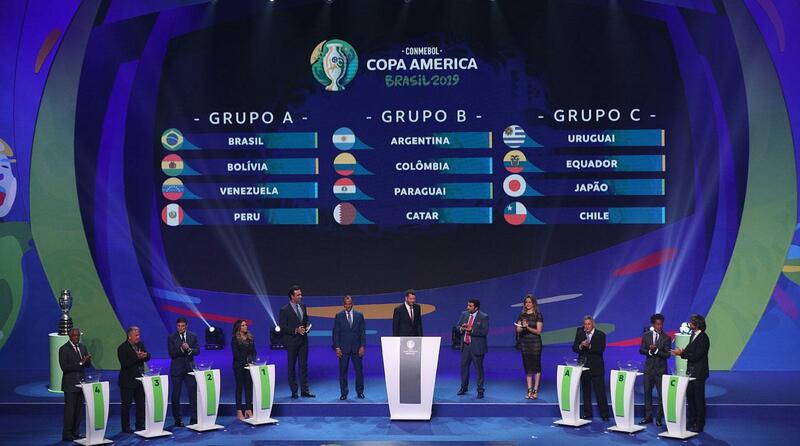 However, it was later changed and two Asian nations were called as guest to take part in Copa America 2019. The Asian Cup 2019 champions Qatar will join the likes of Argentina and Brazil in the 46th edition with the other Asian powerhouse Japan joining them as well. This entry was posted in Participating Teams and tagged Copa America, Copa America 2019, Copa America 2019 participating teams, Copa America participating teams. Bookmark the permalink.